In the past, so many Kandyans were terribly scared of going to Bahirawakanda after dusk. According to legend, there was a powerful Bahirawa Devalaya at the top of the Bahirawa Kanda where hundreds of beautiful girls had been sacrificed to Bahirawa Deviyo. The mythical being, Bahirawa was considered a powerful spirit… These Devalaya thrived during the days of Nayakkar Kings. People believed that the souls of those unfortunate girls roam around at night in the area. Gone and unforgotten are those myths. Now Bahirawakanda is fully developed and visited by many who come to Kandy. The Sri Maha Bodhi Viharaya at Bahirawakanda is a very attractive and hilly place close to Kandy Town. Many tourists are attracted by the giant Buddha statue, which is built with people’s generous donations. Founded by Ven. Ampitiye Dammarama Thero, the monastery was started in 1972 . 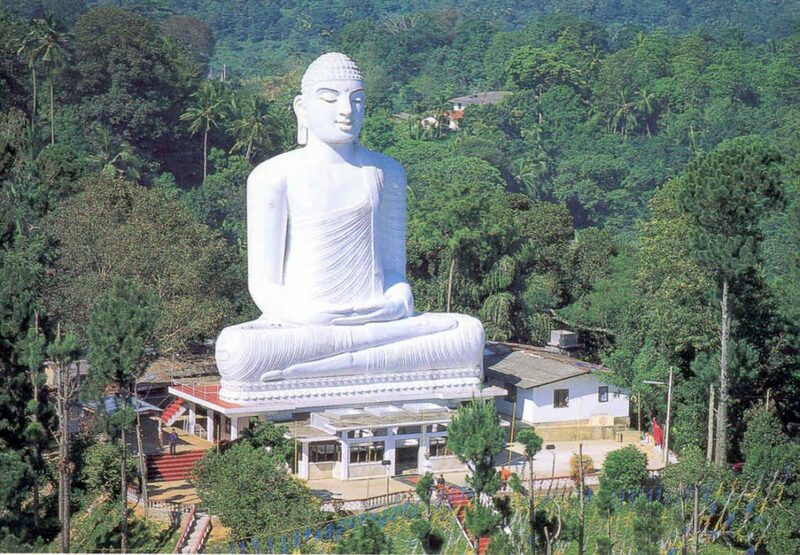 The big Buddha’s statue become one of the major attractions in Kandy. After the opening the statue, more and more people started to visit the temple. 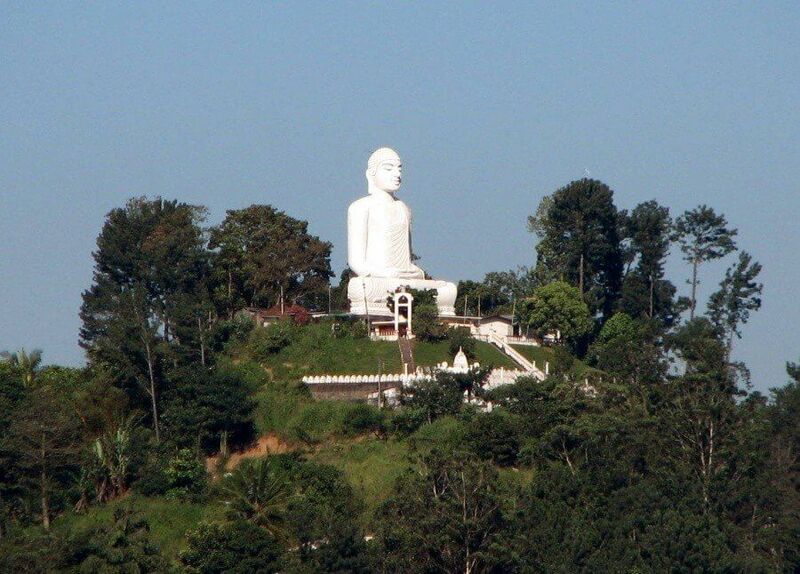 This glorious white Buddha statue can be seen from everywhere in Kandy city. Bahirawakanda is located less than 30 minutes away from Amaya Hills, one of our Kandy Hotels. Stay at Amaya Hills and arrange an excursion to see Bahirawakanda.